In most organizations, the number one reason for employee turnover is the lack of opportunity to make meaningful contributions. It's a problem as old as business itself, often due to communication breakdown and management issues. Empowering employees to take a stance and voice their opinion is easier said than done, especially in larger organizations where they may feel as if they're just a number. This age-old conundrum continues to repeat itself, and no business is immune from the problem. While engaging employees may be a challenge, there are many tools available that make it easier than ever, one of the big ones being social intranet software. A social intranet brings the power of social networking to the business world, allowing employees to contribute knowledge and ideas in a streamlined, efficient manner. It may be a relatively new addition to the modern business landscape, but it's growing in popularity at an incredible rate. 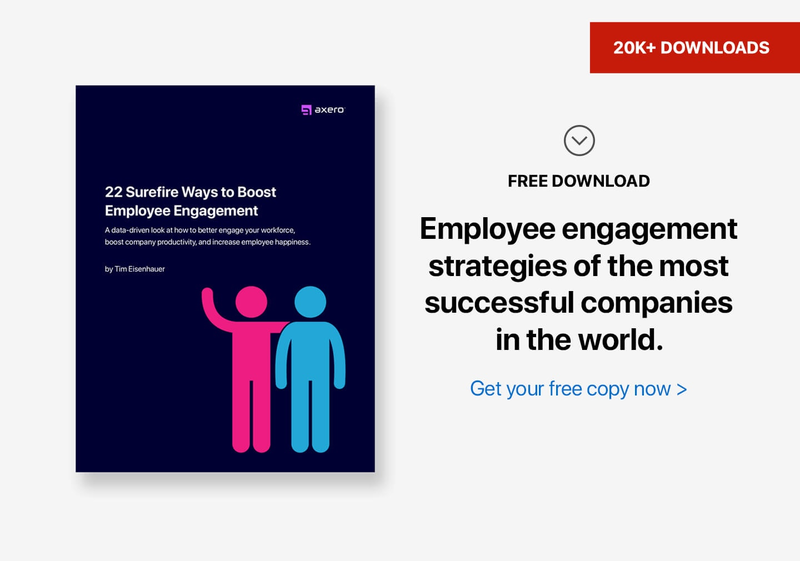 There are plenty of ways to go about increasing employee engagement. Sometimes, simple recognition for a job well-done is enough to have a tremendous impact on an employee that might otherwise feel oppressed in some way. It's impossible to ignore the effect modern technology has on today's business landscape, however. Social intranet software brings together all of the tools necessary to increase employee engagement in a single package, and the benefits of can be seen very soon after implementation. Communication is a central factor in any social network, and the same can be said for social intranets. Intranet software allows employees to speak freely with each other in a safe, constructive environment without having to worry about taking criticism. Whether employees want to contribute an idea, voice a question or concern, or even craft content that can be shared with a public audience, social intranet software makes it possible and breaks down any boundaries that might get in the way. Content creation is a big part of increasing employee engagement on your intranet. Whether it's to be used internally or pushed out to an external audience, the more content (knowledge) that you can amass within your network, the more your organization stands to gain. Social intranet software not only makes creating blogs and wikis easier than ever, but it actually encourages it. When an employee feels as if their knowledge can serve as a true contribution, he or she is one step closer to feeling engaged. Sometimes, a lack of employee engagement comes from not having the right tools for employees to do their jobs. 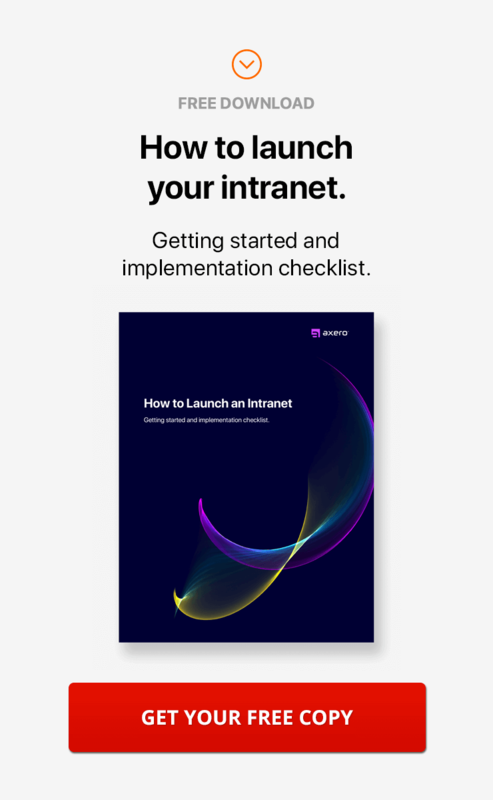 Social intranets incorporate many effective tools that can be used on a daily basis, such as group and personal calendars, document and file management, robust messaging, activity streams, real-time notifications, and more. When properly used, the tools inherent in your intranet can take an employee's productivity level to an entirely new level, thus leading to increased engagement. There's nothing like feeling as if you're part of something bigger than yourself -- which is what it's like to work with others on a team. Social business simply doesn't operate properly without teamwork. This leads to solidarity as you and your co-workers address and tackle problems. As you might expect, solidarity can be a huge motivating factor for employee engagement, especially as a team becomes more and more tight-knit. Supervision from managerial staff is important. Too much supervision, however, can make employees feel as if they're being controlled and are unable to contribute or handle tasks on their own. With a social intranet, employees are given the ability to work at their own pace and stick to their own unique style. This takes a lot of pressure off and allows people to feel as if they can stand on their own two feet. Why Engage Employees with Social Intranet Software? Before setting out to increase employee engagement, it's important to understand why you should be putting in the effort to begin with. There are many benefits of having a more engaged and empowered staff, many of which become clear almost immediately. Add up the perks, and it's no wonder why so many of today's CEOs, business owners, and managers place a great deal of importance on helping their employees be heard. You will Increase Productivity — Improving productivity in the workplace is at the top of any list of priorities. Increasing employee engagement almost always comes along with an increase in productivity, as those who feel they are being heard are far more likely to put in 110% than those who do not. Treat your workers as if they're an important piece of the puzzle, and you'll no doubt start seeing changes in the way they approach daily tasks. You will Improve Communication — Communication plays a key role in any successful business, regardless of industry. When communication breakdown occurs, things inevitably begin to fall through the cracks, which can lead to a number of logistical problems. Engaged employees are far more likely to communicate properly with their coworkers than those who are stuck within a shell, regardless of what their roles may be. 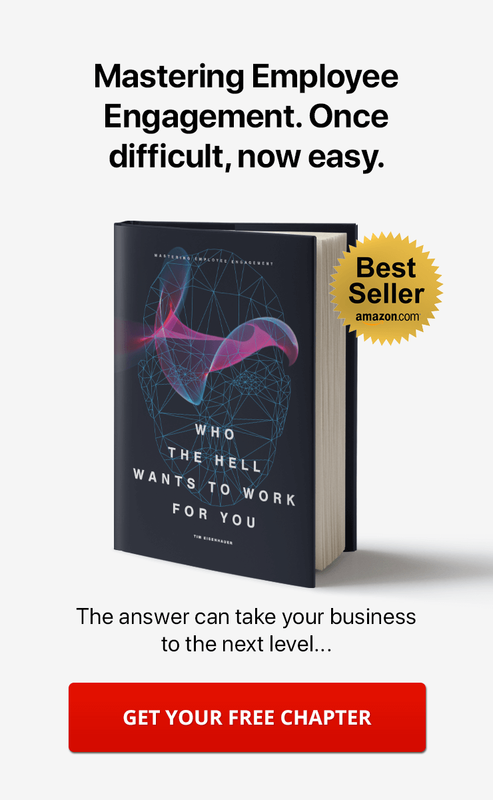 You will Create More Effective Ideas and Solutions — The cornerstone of any organization in the professional world is the ability to solve problems. Creating effective ideas and solutions isn't easy when your employees don't feel as if their input matters or can be shared freely. When you have good social intranet software in place, great ideas will flow. You will Provide Better Customer Service — If there's anything that should never be overlooked, it's the importance of providing the best possible customer service to your audience. It's common for employees who feel stunted in their line of work to put less than their best efforts into providing great customer service ... which can have major negative effects on customer service. 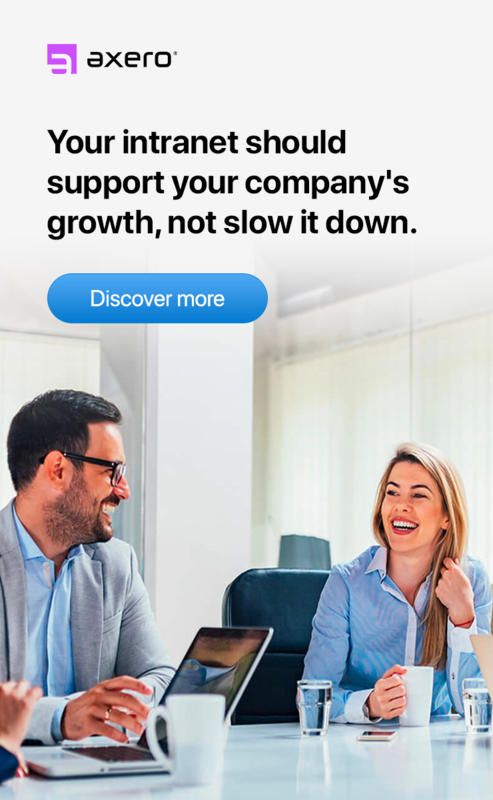 Empower your employees so they know as much as possible about the products and services your company provides, and issues with customer service should dissipate entirely. You will Reduce Employee Turnover — Turnover is a common problem in any industry, and keeping it at bay isn't always easy. It should stand to reason that employees who don't feel comfortable or happy at work will seek other employment, and this happens more frequently than most people would like to admit. With engaged employees, the chances of them leaving their position for one at another company are drastically lowered. Perhaps most important is the fact that employees who are engaged are those who are happy, fulfilled and productive. It goes without saying just how beneficial such an attitude can be to your business, especially if it is collectively felt among everyone who is part of the organization. You could offer high salaries, great benefits, and half a year's vacation, but none of this would add up to be more impactive on an employee's attitude and work ethic than true engagement. Implementing social intranet software is one surefire step to a happier workplace.